– This drug is used for treatment of peptic ulcer. – Vertigo of various origins. – Initial treatment: 100 mg 3 times daily. – Maintenance treatment: 50 mg 3 times daily for 3 weeks. 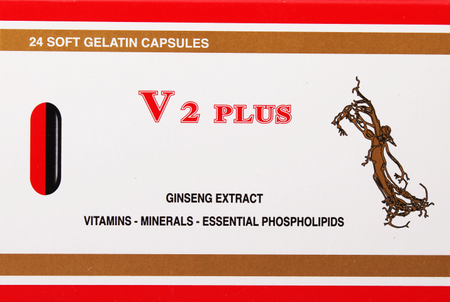 – For vertigo of various conditions: 300-900 mg per day. A starting dose of 400 mg to 800 mg daily, given as one or two tablets twice daily (morning and early evening) is recommended. Predominantly positive symptoms (formal thought disorder, hallucina- tions, delusions, incongruity of affect) respond to higber doses, and a starting dose of at least 400 mg twice daily is recommended, increasing if necessary up to a suggested maximum of 1200mg twice daily. Increasing the dose beyond this level has not been shown to produce. further improvement. Predominantly negative symptoms (flattening of affect, poverty of speech, anergia, apathy, as well as depression) respond to doses below 800 mg daily; therefore, a starting dose of 400 mg twice daily is recommended. Reducing this dose towards 200 mg twice daily will normally increase the alerting effect of topmode. Patients with mixed positive and negative symptoms with neither predominating, will normally respond to dosage of 400-600 mg twice daily. Clinical experience in children under 14 years of age is insufficient to permit specific recommendations. The same dose ranges are applicable in the elderly, but the dose should be reduced if there is evidence of renal impairment. – Other side effects as: drowsiness) apathy, agitation, insomnia, dizziness, weight gain, headache and excitement. – Hypersensitivity to the product. – Pregnancy and breast feeding. – Children under 14 years. Neonates exposed to antipsychotic drugs, during the third trimester of pregnancy are at risk for extra pyramidal and/or withdrawal symptoms that following delivery. There have been reports of agitation, hypertonia, hypotonia, tremor, somnolence, respiratory distress, and feeding disorder in neonates. These complications have varied’ in severity, while in some cases symptoms have been self-limited, in other cases neonates have required intensive care unit support and prolong hospitalization. These products should be used during pregnancy only if the potential benefit justifies the potential risk to the fetus. 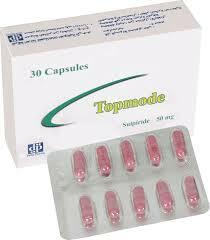 1) Topmode Shouldn’t be used with dopaminergic antiparkinsonism e.g. amantadine, bromocriptine, cabergoline, levodopa, lisuride, pergolide, pergolide, piribedil and ropiniole. 2) Alcohol intake may affect the effect of the drug. 3) Risk of orthostatic hypotension in case of concomitant administration with antihypertensive. drugs: morphine, barbiturates, benzodiazepines, anixolytic, hypnotics, sedative antidepressant, H lantihistaminics, baclofen & thalidomide. Carton box containing 3 strips each of ten capsules and inner leaflet. Carton box containing I strip often tablets and inner leaflet. Keep the drug out of reach of children.